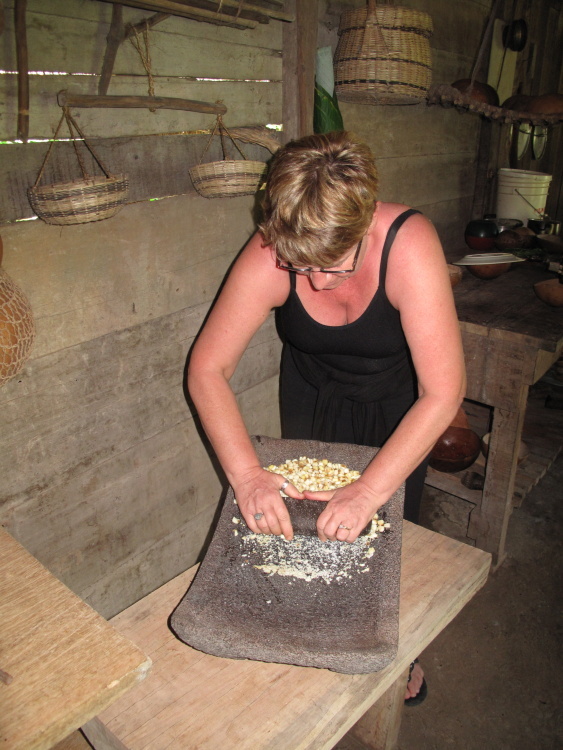 Home » Belize Travel Blog » Art & Culture » Experience Mayan Culture in Southern Belize: It’s SERIOUSLY Hard Work! The Living Maya Experience is a relatively new initiative and home visit that you should go on when you are in the Punta Gorda area. 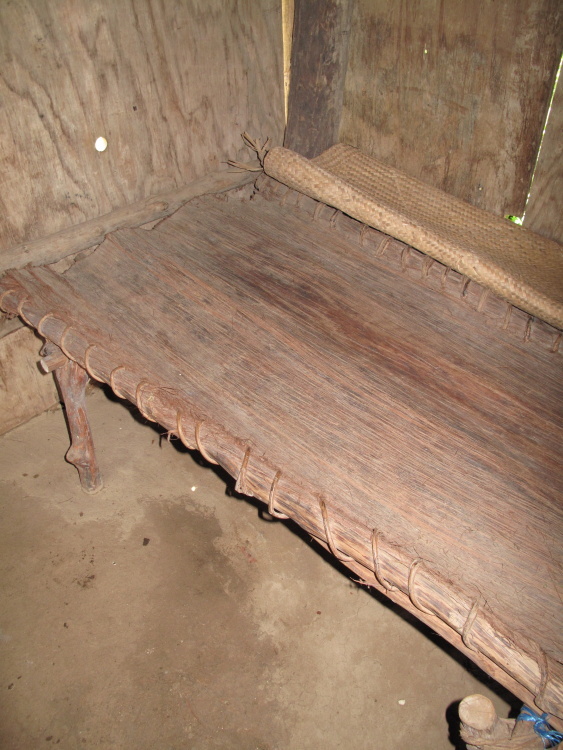 You spend time in one or two homes that offer a very cool look back into a culture that is quickly disappearing…a time when the Kek’chi Maya depended on the land for everything from food to furniture to medicine. I mean EVERYTHING. Since my life may be the complete opposite (lots of Internet time & microwave popcorn)…my friend Jackie and I thought this would be super interesting. And we were right. We also found that we are naturally gifted in areas that we didn’t even know about. Jackie, naturally talented at stone grinding masa and me? I’ve got skills at weaving tai tai baskets. At all the other skills, we were pretty crap. But it was certainly fun trying. We drove the 15 miles from Punta Gorda to the village of Big Falls. (Also on the main bus route if you don’t have a car.) Our first visit was with the Cal family. On their property, they have set up a home as it would have been 50 years ago. 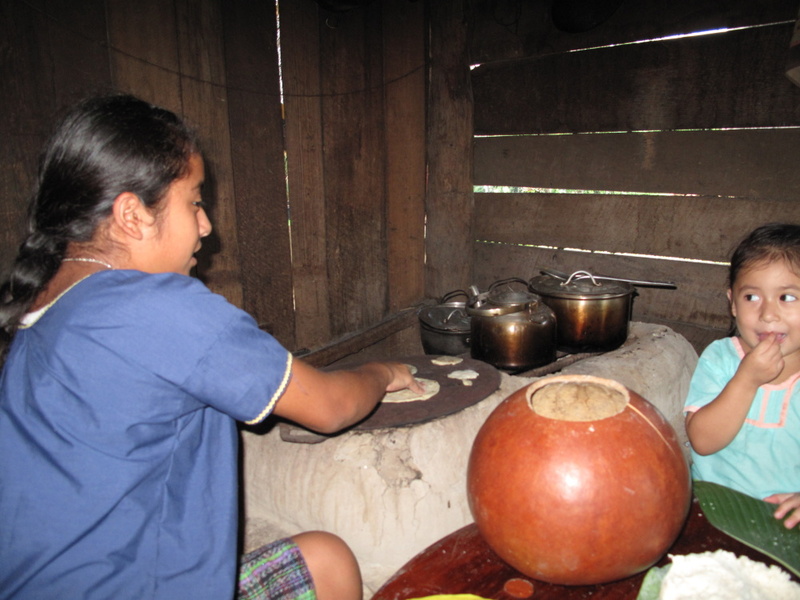 When we arrived, some of the Cal ladies were working on the meal…Chris and Anita have 10 children. And Alva, the youngest, wants to be involved every step of the way. 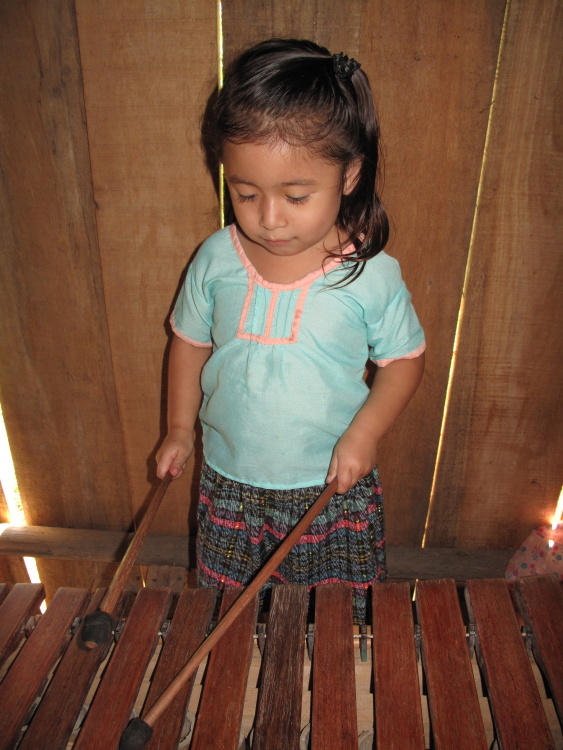 Chris makes instruments like the marimba…and Alva tests them. 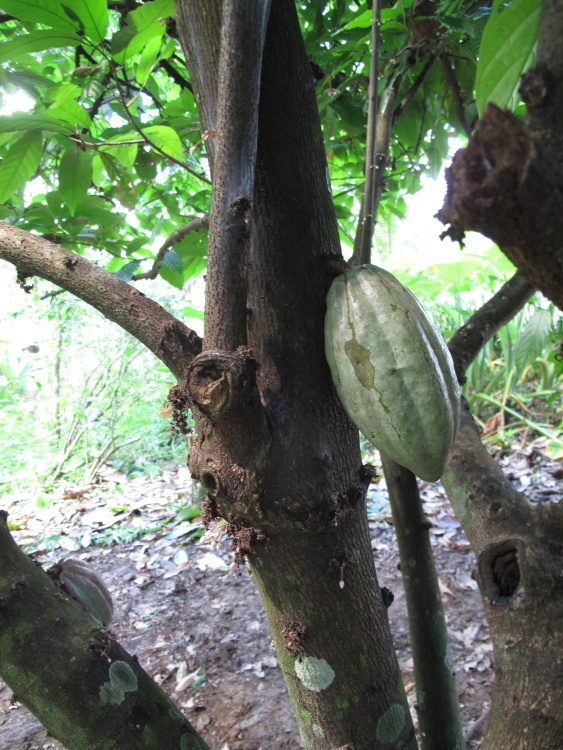 We ground cacao beans from the family tree to make a sort of chocolate/water drink. How beautiful is this grinder? We formed tortillas. The one on the left is how it is supposed to be done and the one on the right. Mine. Alva focuses on eating the masa raw. 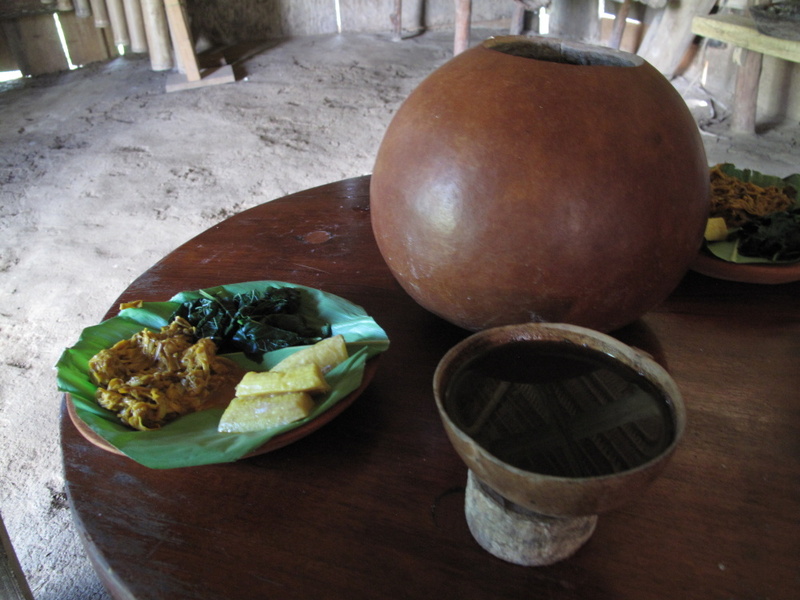 And…our meal and our cacao drink. 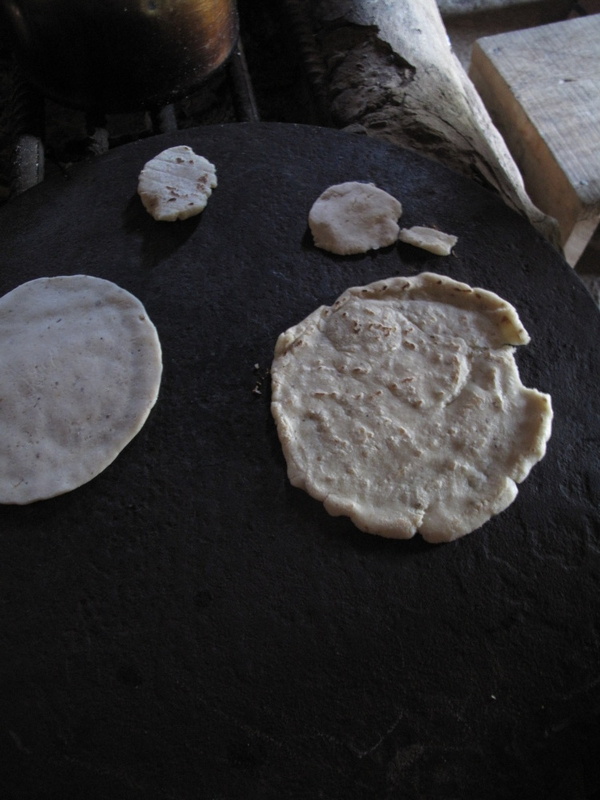 The calabash gourd is filled with hot corn tortillas. Together Jackie and I did about 1% of the work. It was really tasty. 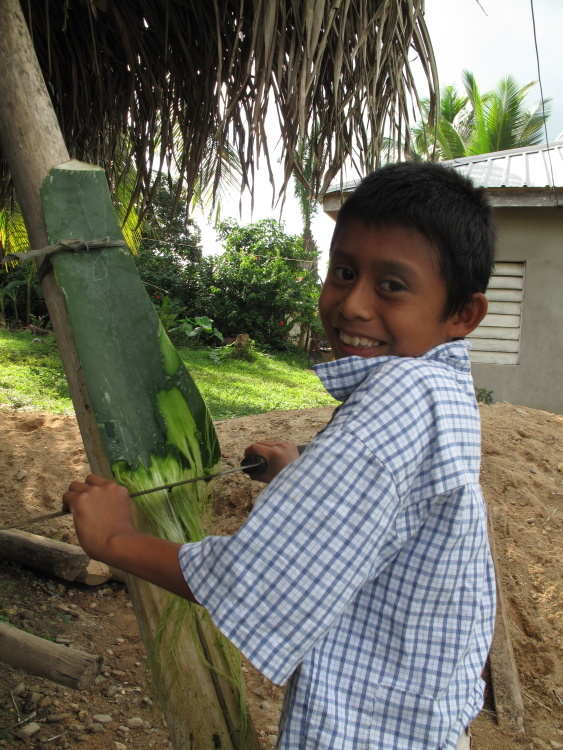 The heart of the jippa jappa plant is the main dish…and it’s almost like heart of palm. Tasty shredded and spiced. One of the trickier parts was sitting/squatting on very low stools. 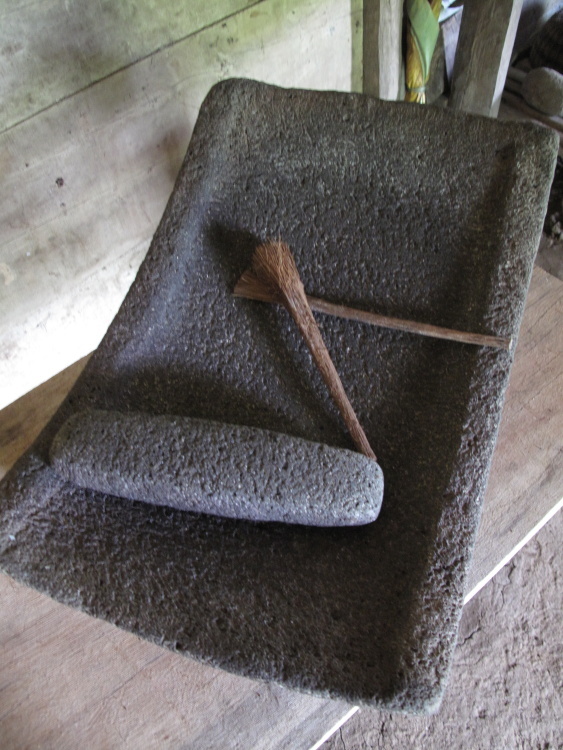 Outside, we took a tour of the kitchen garden and the traditional way of pressing sugar cane with this beautiful press. Seriously hard work. And this was really just a generation or two ago. Chris and Anita learned all of these techniques watching their parents and grandparents. 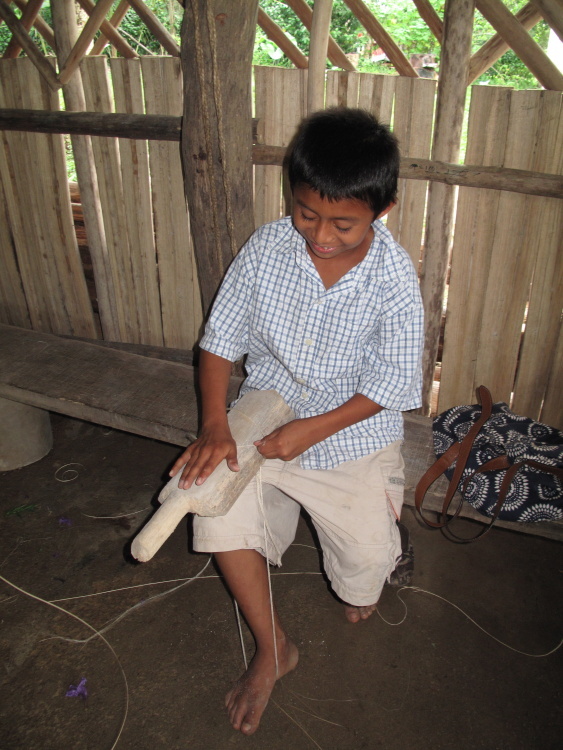 After lunch, we headed up a few roads to the Chiac’s house…time to work on some traditional Mayan crafts. Three generations greeted us. The older generation spoke mostly Kek’chi. 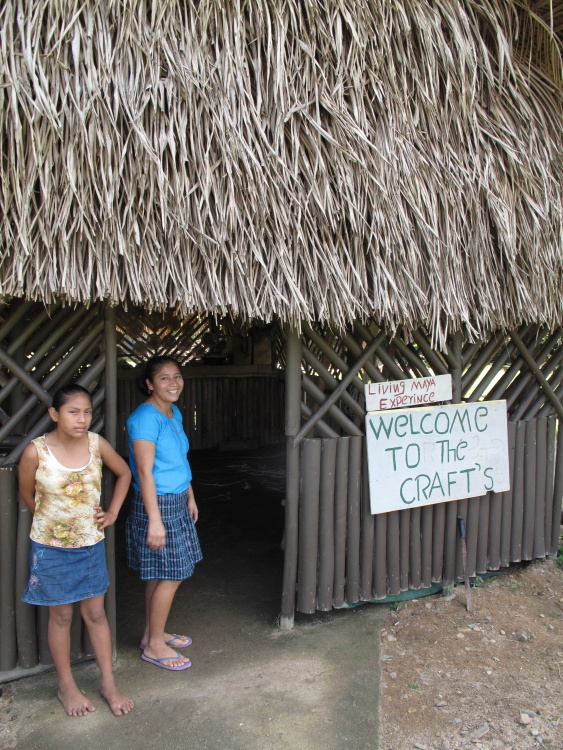 Their daughter and her children showed us the INCREDIBLY labor intensive techniques to make beautiful, functional things. 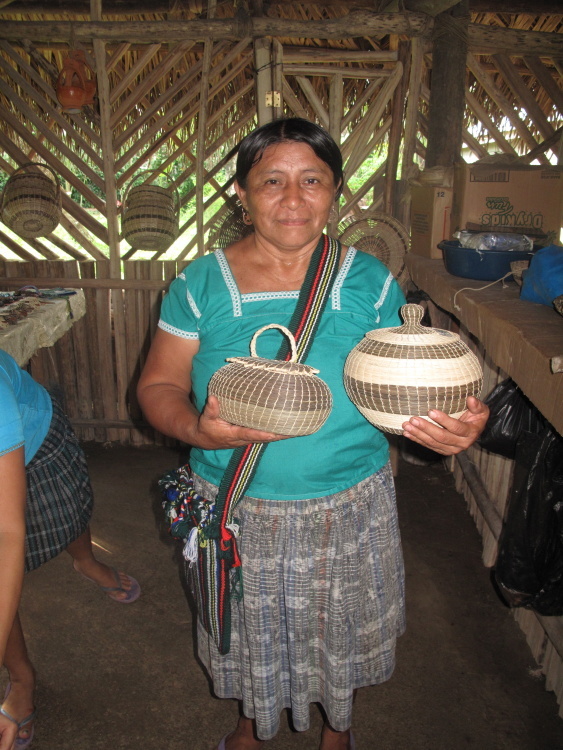 Tai tai basketry involves going into the jungle, gathering vines, stripping the vines, letting the fiber dry in the sun for a week and then weaving the basket. We each gave it a try (on a basket I’m sure they are going to toss into the trash heap.) I found my niche! I can make Tai Tai baskets! 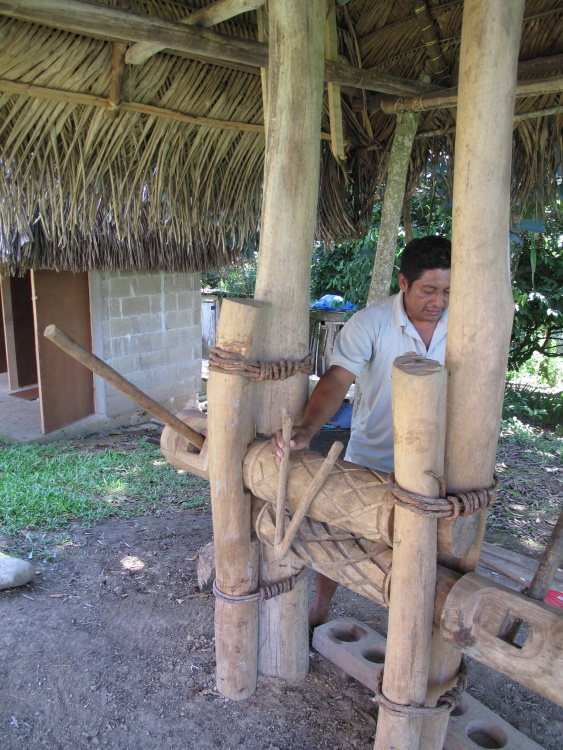 Next an even more time intensive job, turning agave fibers into rope and then a hammock. 2 weeks, it TAKES 2 WEEKS! 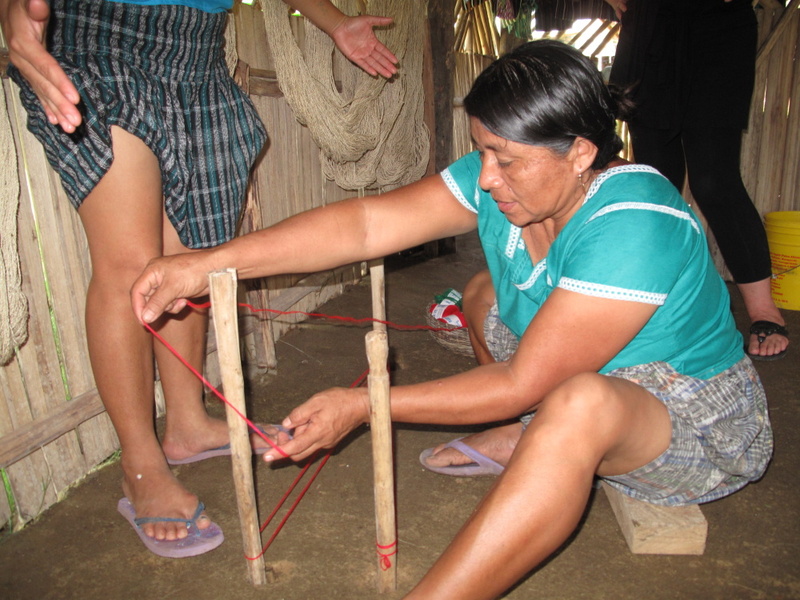 Rolling the dried fibers into string. Each of the grandchildren is learning the techniques for one of the crafts. This guy is working on his rope. 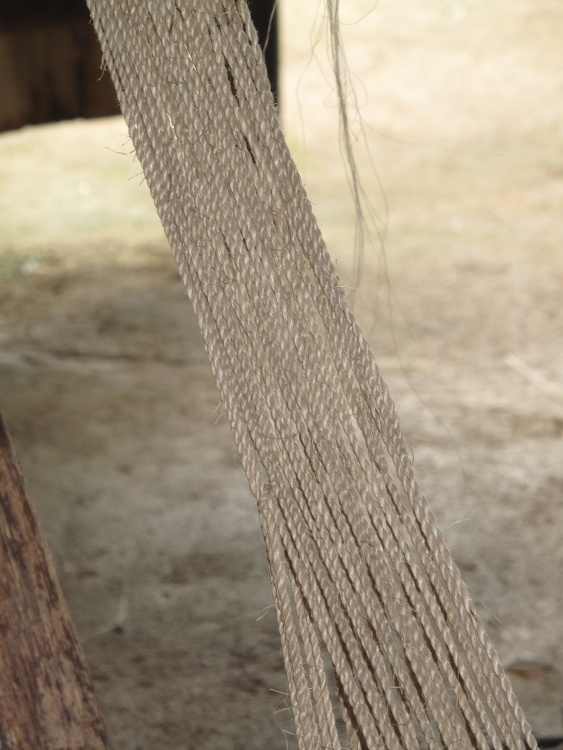 I ordered a small woven shoulder bag made from this beautiful string…for when I return next year. And if I made this hammock? I would charge $1000US for it. At least. Unbelievable amount of work. 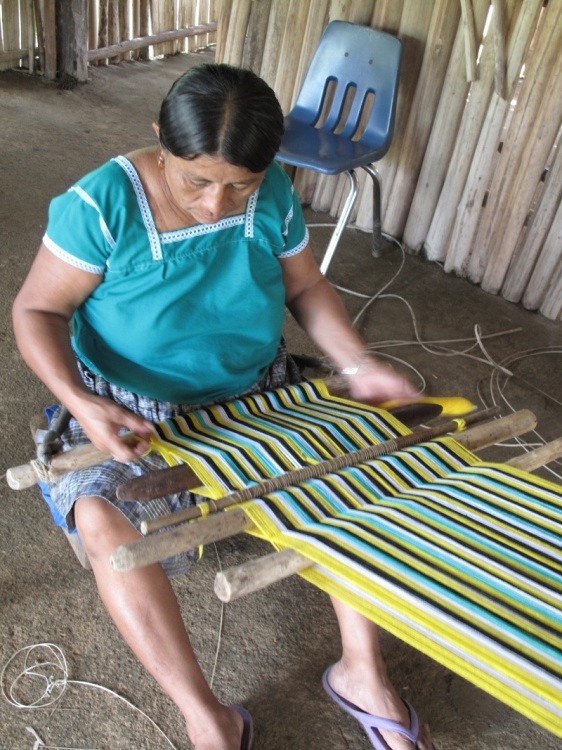 And just as skilled and labor intensive, making the beautiful cloth. One full day of work just to set the loom. The Chiacs have all of the beautiful crafts for sale. I bought one of these amazing tightly woven little baskets. I love it. Not only is this a fun, hands-on day seeing and learning things that you certainly wouldn’t normally but you meet some really great families. I LOVE to hear about life anywhere 20, 30 or 50 years ago. But it’s particularly fascinating when it was so unbelievably different from mine. You are going to love spending time with both of these families in Big Falls village. 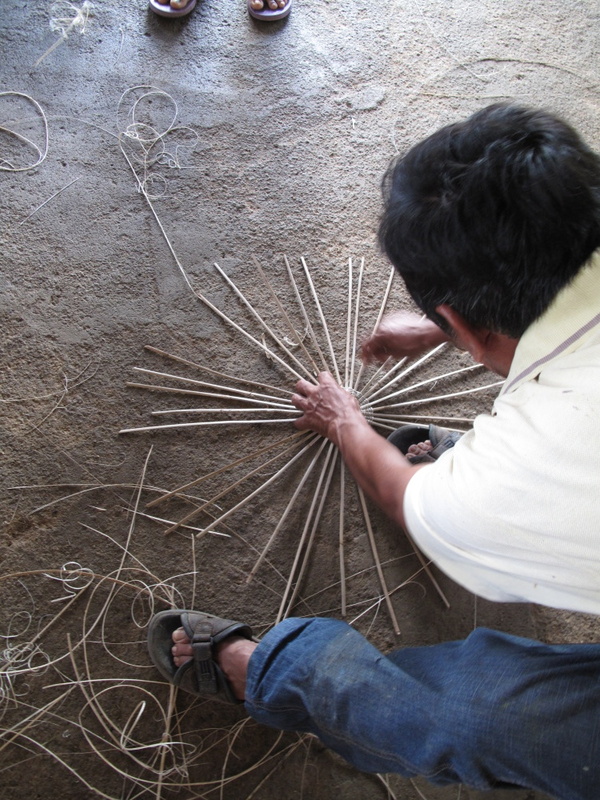 And you certainly gain a whole new appreciation for the amount of WORK involved in the beautiful local crafts. 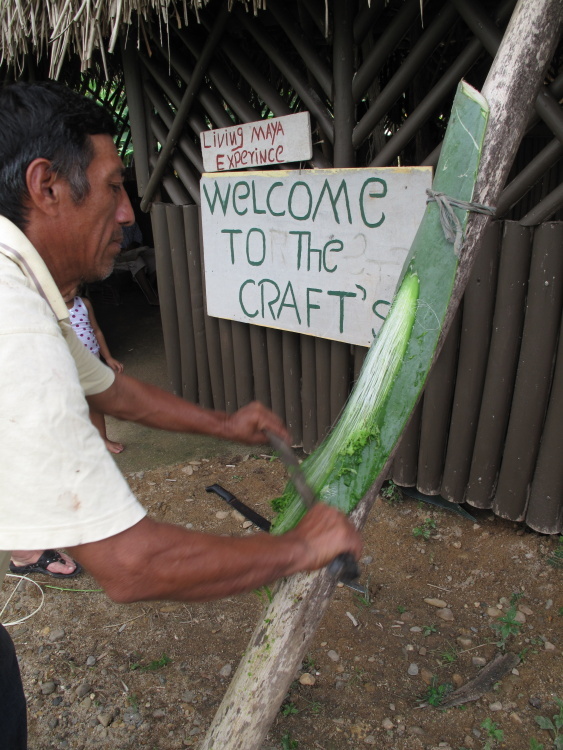 After this day, you are going to want to offer Mayan craftspeople (the ones with the real deal, handmade stuff) twice or three times the offer price. 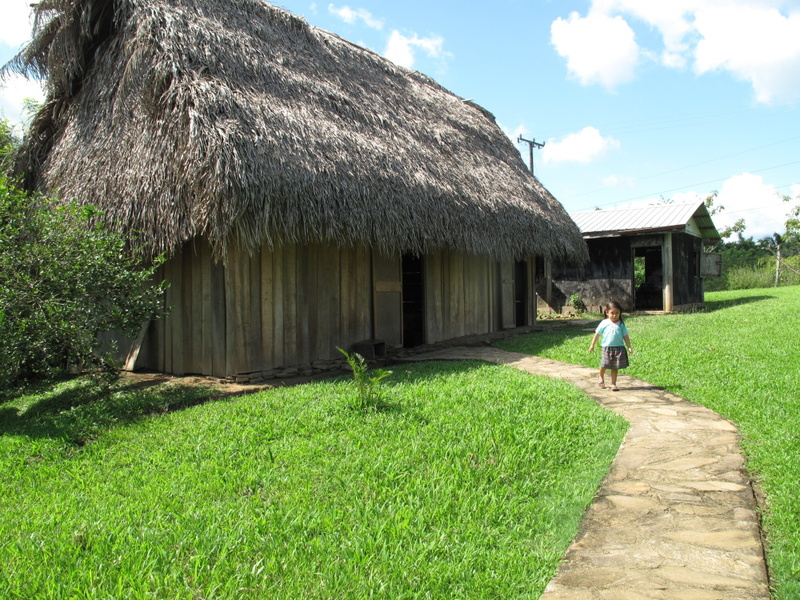 The Belize Tourism board and other programs are helping these families organize these home visits, so now they have pamphlets and a facebook page. Check them out. 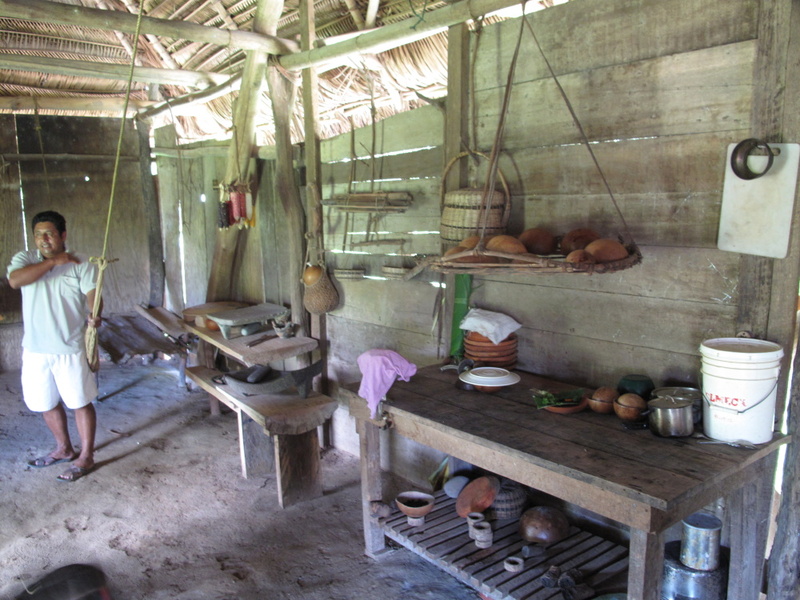 The Living Maya Experience. THIS is the kind of tourism we need in Belize. What an interesting experience you had! Fascinating. Amazing the work they do. What an amazing experience! 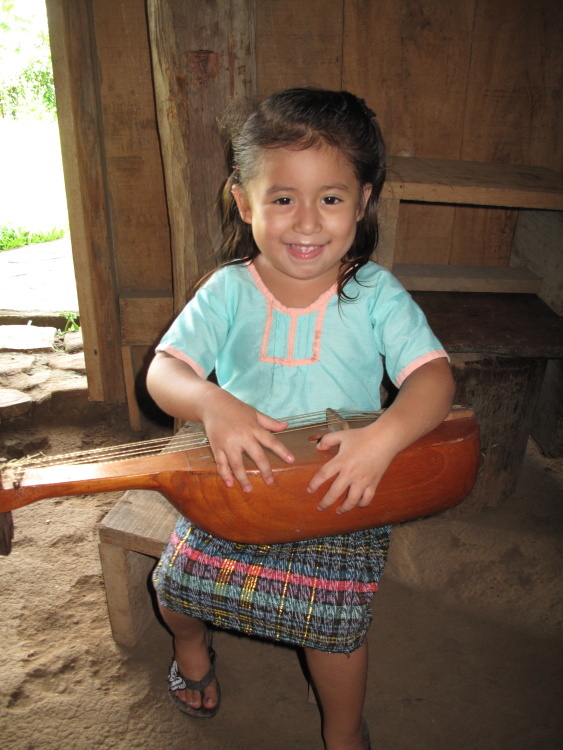 I had a very similar trip in 2004 as a college student in the village of San Miguel in the Toledo district. 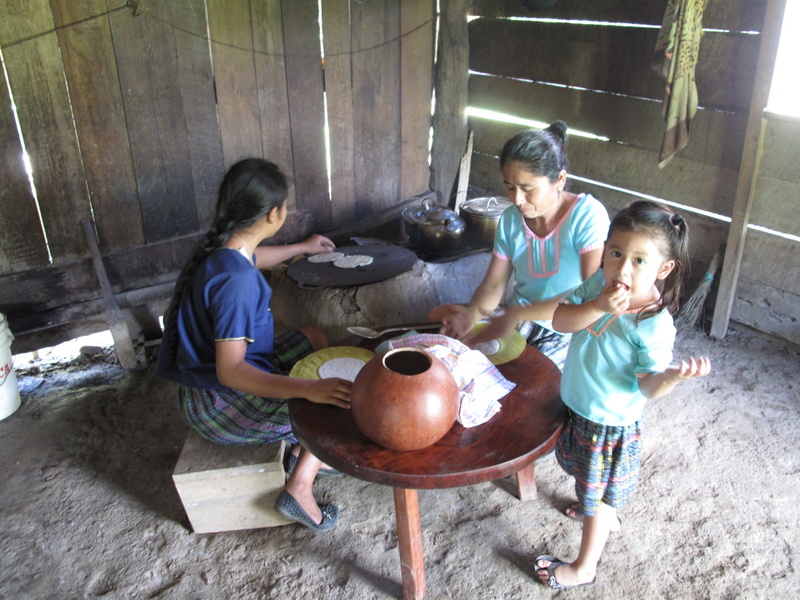 We stayed with families for 2 or 3 days as part of an overall Tropical Watershed Ecology course. Such a beautiful culture. It is wonderful that this experience is now open to all.